In the final part of his series on the history and development of money, Adam Booth explores how monetary theories and systems have changed over time in response crises, and looks at the "solutions" proposed to overcome the contradictions facing the money system today. How do we break the spell of the so-called "root of all evil" and free ourselves from these "chains of gold". Read parts one, two, three, and four. The collapse of the Bretton Woods system and the world crisis of the 1970s marked the death knell of both the international gold standard and of the “Keynesian consensus”. In their place, respectively, came the system of floating exchange rates and the economic programme of monetarism, which placed an emphasis on tight monetary policy and “supply side” measures - that is, keeping inflation down by restricting the money supply and reducing the costs of production, above all labour costs (i.e. wages). 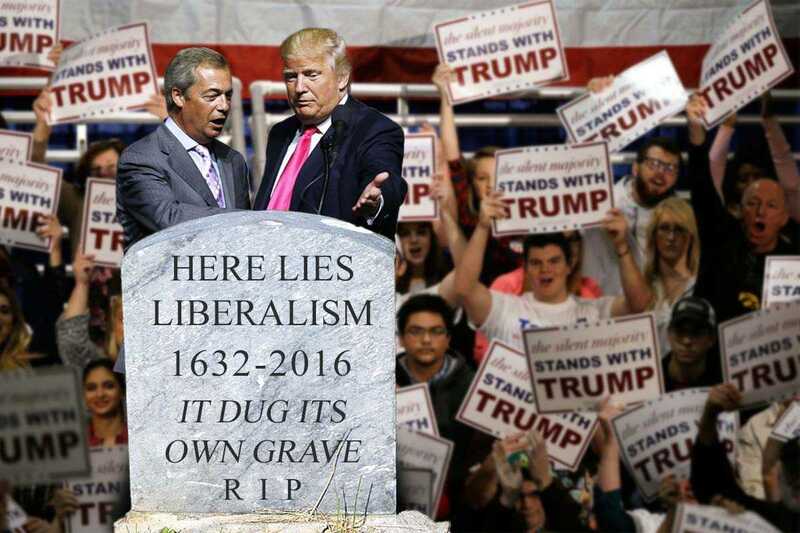 These ideas were, in turn, embodied theoretically by Milton Friedman, and politically by the Reagan administration in the USA and the Thatcher government in Britain. As mentioned earlier, meanwhile, their war on inflation in reality became a fig-leaf for a war on the working class to the benefit of the capitalists and their profits. What we see from the last 100 years, then, as demonstrated by the examples of the gold standard, the Bretton Woods agreement, and now the single European currency, is that every monetary system or monetary policy eventually reaches its limit. Each of these international monetary systems cited were able to take hold in a period of capitalist upswing and global geopolitical stability, in which the contradictions of capitalism and the nation state could temporarily be papered over. In turn, the presence of an international monetary system itself became a source of stability, facilitating the growth of trade, an expansion of the world market, and a thus a development of the productive forces. But in each case, with the emergence of a world crisis, these strengths of the international monetary system eventually turn into their opposite and act as a suffocating straitjacket, serving to amplify these contradictions and becoming a source of great economic and geopolitical instability. The monetary system, unable any longer to contain its internal tensions and antagonisms, is torn apart, only to be replaced by a new system when the economic equilibrium is (temporarily and partially) restored. In effect, what is seen on the plane of monetary policy is a sort of “paradigm shift” - a qualitative change in policy, theory, and ideology - that arises from the crises and accumulation of contradictions in the old system, and which in turn expose the flaws and weakness of these systems. Ultimately, however, the crisis of each of these monetary systems - the gold standard, Bretton Woods, or the euro - are only a reflection of the general crisis of capitalism. It is the underlying contradictions of capitalism - and the general crises of the capitalist system - that are at the root of the problem. In this respect, it is no wonder that we see the so-called economic “experts” scratching their heads and scrabbling around for solutions today. Neither monetarism nor Keynesianism can offer a way out, seeing as they are simply two sides of the same capitalist coin. Meanwhile, given the extremity and depth of the current crisis, the rule book is being torn up and academic textbooks are being rapidly re-written, and central banks and governments are considering (and enacting) monetary policies - such as “helicopter drops” and QE - that not so long ago would have been considered unthinkable and sacrilegious. With the “experts” left floundering in the dark, a number of previously more fringe theories have risen to prominence, offering a remedy to society’s monetary malaise. First up are those who propose a return to the gold standard, in the hope that this will put a stop to governments printing money and conducting inflationary monetary policies. In essence, this Hayekian train of thought lays stress on the problems associated with the build-up of public and private debt, which in turn is blamed on government intervention - for example, stimulating credit bubbles by setting ultra-low interest rates. What this camp does not consider, however, is: what would happen if governments were not to intervene in the economy and credit was not expanded? Would crises be avoided by the magical invisible hand of the market? The modern day Hayekians imagine that without government interference, the market forces of supply and demand will solve all problems; that crises might still occur, but that these would be only a minor blip in comparison to the deep recession that we are now experiencing. As we have explained earlier, however, credit does not create a crisis, but merely delays it. In the absence of the expansion of credit, the crisis of the 1970’s would simply have continued and developed onto a higher level. The expansion of credit was required to maintain the consumptive capacity of the working class in the face of attacks on the wages – i.e. the purchasing power – of these very same workers, all in the name of maintaining profits for the capitalists. Without the expansion of credit, the expansion of the productive forces would have been met with a limited market – that is, a lack of effective demand – at a much earlier date. Companies would have ceased expanding production in the face of a falling demand for consumer goods; unemployment would have risen; the vicious cycle of recession would have set in. Similarly today, rather than establishing a stable equilibrium, a return to the gold standard would quickly lead to a social and political explosion, as governments across the world - in the absence of any independent monetary policy - sought to attack the working class in order to export their way out of the crisis through “internal devaluation”. In this respect, as Trotsky stressed in his speeches to the Communist International in the wake of World War One, every action the ruling class takes in an attempt to restore economic equilibrium will only serve to destroy the social and political equilibrium - and vice versa. Elsewhere, campaigns such as Positive Money call for the banking system to be brought under “democratic control”, with regulation to stop banks creating money and lending just to make a profit (through interest) - in effect, an end to fractional reserve banking. In essence, such campaigners are attempting to shine a light on the same problem as that highlighted by the Hayekians - that of the creation of credit, fictitious capital, and speculative bubbles - but are demanding the opposite solution: not less government intervention, but more. In turn, Positive Money suggests a form of “People’s QE”, as raised also by Jeremy Corbyn’s economic advisors, in which new money is created, without any corresponding debt, by an “independent” monetary panel. Such money, the campaign proposes, would only be thrown into the “real economy” - via spending, not lending - in order to fund investment in industry and infrastructure, etc. Two fundamental flaws must be highlighted with these proposals, however. Firstly, as explained above, the development of finance (including fractional reserve banking) and the vast expansion of credit are not the result of “greedy bankers”, but are a result of the demands of the capitalist system to constantly grow and expand beyond the limits of the market. In other words, as discussed earlier, credit is not simply imposed on society by the banks, but arises out of the needs of the system to overcome its own contradictions - fundamentally, that of overproduction. Secondly, we must surely ask: why is this “People’s QE” needed in order to channel money into the real economy? Why is there so much speculation and so little private investment in socially necessary things such as schools, hospitals, transport, green energy, and new housing? At the end of the day, the problem is not merely the undemocratic nature of the banking system, but the problem of private ownership over the means of production and the commanding heights of the economy. Public ownership and democratic control of the banks would be a major step in the right direction, but it would not solve the fundamental issue within capitalism: you cannot plan what you don’t control, and you cannot control what you don’t own. In this sense, under capitalism, governments don’t have any real power over the banks and big business; it is the the banks and big business that rule over governments. If we want investment in the things that society really needs, then we need to take over the major monopolies and multinationals, and nationalise them under workers’ control as part of a socialist plan of production. In the absence of this, any reform to the banking system will merely lead to a strike of investment by the capitalists - an act of economic sabotage by the capitalist class, as is being seen currently in Venezuela. Finally, again similarly to the Hayekians, there are anarcho-libertarians who blame the government and central banks for having a monopoly over the ability to create money and set interest rates. Their solution: to create “digital currencies”, such as the most famous example, Bitcoin, which are decentralised in their structure, and thus beyond the control of these very same governments and central banks. In contrast to normal currencies, which are ultimately backed up by the state, the Bitcoin network is maintained by volunteers, who receive Bitcoins in return for maintaining the network - a process referred to as “mining”. Transactions are indelibly recorded on the “block-chain” - a ledger of all transactions ever made - of which every Bitcoin user has a copy. This decentralised setup makes it impossible for one person or entity to control the currency; instead, any changes to the network have to be agreed upon by all those who work to maintain it. Despite all the libertarians’ talk, however, Bitcoin’s reality has fallen somewhat short of its utopian promise. For starters, given its lack of any backing from any government or central bank, Bitcoin is having trouble becoming widely accepted and remains on the fringes of the economy; for example, for anonymous transactions through online marketplaces such as Silk Road. Secondly, flowing from the fact that it is not widespread or anchored in any way to the real economy, Bitcoin is extremely vulnerable to volatile swings in its price and to being highjacked as a vehicle for speculation, making it no better as an alternative for money than traditional currencies. Finally, it is interesting to note that the Bitcoin community is currently undergoing its very own schism, or “civil war” as one commentator put it, reflecting precisely the contradictory pressures within any monetary system that digital currencies were invented to overcome: on the one hand, the need to increase the money supply (or its velocity of circulation, as is the case with the current Bitcoin split) to keep up with the demands of an expanding market of growing transactions; and, on the other hand, the need to prevent the money supply becoming divorced from the real economy that it is meant to represent. Like other areas of anarchist theory, the Bitcoin experiment is doomed to failure because of the utopian and idealistic analysis of money that lies behind it. 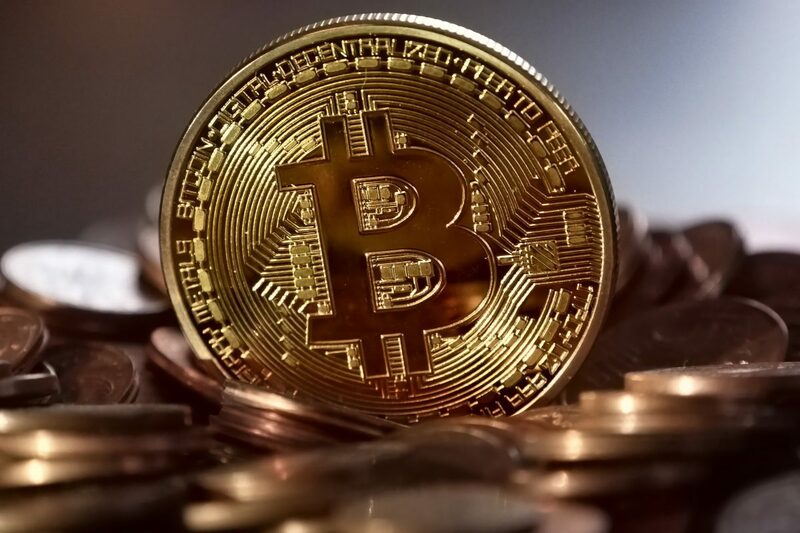 As with the question of the State or the Law, as has been shown in this article, money was not imposed on society by any force from above (in this case, the Bitcoin crusaders tell us, the central banks and government), but is - like language, for example - a social tool that arises out of the needs of production; in the case of money, from the needs of a market-based system of commodity production and exchange. The problem, in short, is not the “meddling” of the central banks, but the anarchy of the market, which arises out of private ownership; and no amount of utopian experiments will help. 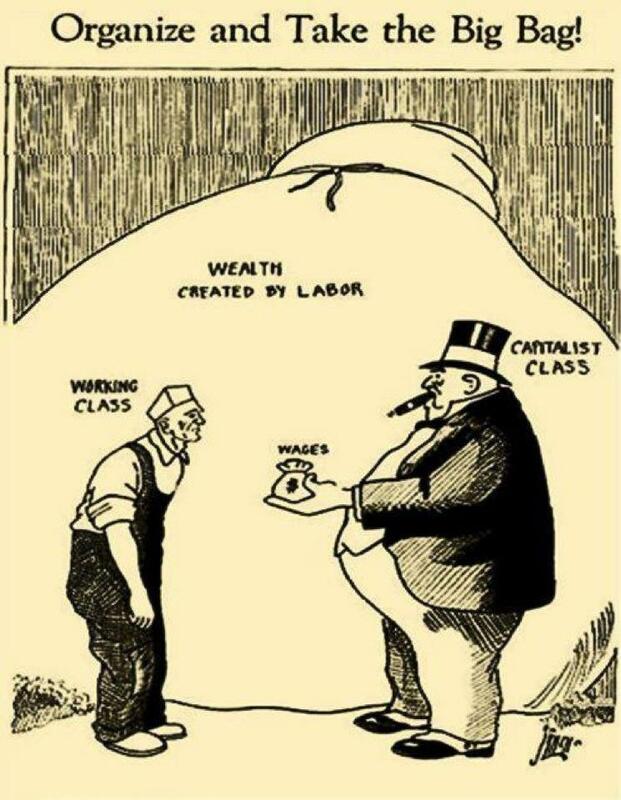 And, as with the so-called “solutions” of returning to the gold standard or “democratising the banks”, we must look at the problem in a materialist and dialectical manner in order to tackle not the symptoms of the problems facing society, but the underlying disease: class society and private property. As can be seen with so many areas of society, politics, and economics, the conservative nature of the ruling class, which always and everywhere wishes to maintain the status quo that works to its advantage, will all too frequently shroud phenomena in an air of timeless mysticism. As it was in the beginning, is now, and ever shall be: this is the hymn of the exploiters, who strive to reinforce the illusion that the current state of affairs represents the “natural” and “ideal” order, and is thus eternal and unchanging. 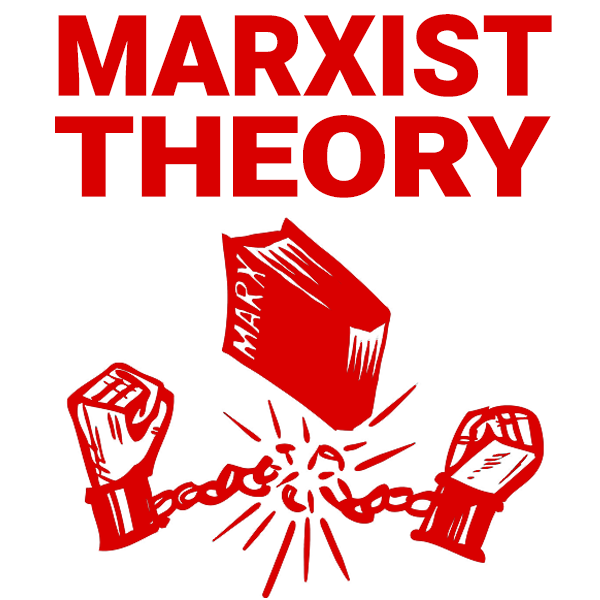 Marxists, by contrast, aim to be the most thorough materialists, understanding the origins of phenomena in terms of concrete material conditions and charting their historic development of change through contradiction. Through such a method, one can not only explain the real inner laws and motion of a process, but also understand how such phenomena will be affected by developments elsewhere in society. In his Capital and other economic writings, Marx rigorously applies this method to the question of money, stripping away its seemingly mystical and magical qualities to reveal its real underlying nature. In the place of any reverence for money, Marx uncovers the material basis for money and thus exposes it for what it is: the necessary result of commodity production and exchange at a certain stage of development. Despite what the Bible tells us, money is not the “root of all evil”. As this article has demonstrated by going back and looking at the historical origins and development of money, it is a social device that emerges from a system of commodity production and exchange; and this, in turn, is tied to the question of private ownership, in which production is no longer for direct consumption, but for exchange, and in which men and women confront each other no longer as people, but as commodities. As commodity production and exchange becomes generalised, so to does the money (and credit) system. In turn, social relations become increasingly transformed into monetary relations, and the seemingly omnipotent power and control of money grows. Capitalism - and, indeed, imperialism - is the highest stage in this process; the point at which commodity production and exchange has become completely universal and generalised, to the extent that labour power - the ability of the worker to work - has itself become a commodity to be bought and sold freely on the market, and the credit system has turned all money into capital: self-valorising value. Money, in short, cannot simply be abolished. To rid the world of money and its scourges, we need to get rid of the system of commodity production and exchange that gives rise to it. That is to say, we need to get rid of private ownership over the means of production and bring about a return of communal ownership over the tools, technology, and wealth in society. Such a society would not be that of the “primitive communism” experienced by our tribal ancestors, but a communism based on a vastly higher level of economic, scientific, and cultural development - a society of superabundance. What, then, is the future of money? Would there, for example, be money in a socialist society? To answer these questions, we must remember what has already been stated above: that money arises as part of a system of commodity production and exchange. The existence of commodities, in turn, implies the existence of private property – of the private ownership over the means of production and the products of labour. 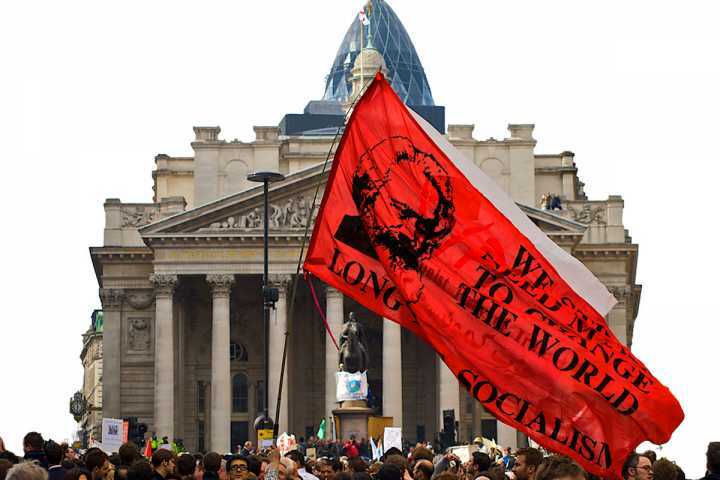 The first steps of a socialist society, therefore, would be to take the key levers of the economy – the banks, the major monopolies, the infrastructure, and the land – and to put these under a rational and democratic plan of production; in other words, to socialise production and place the wealth in society in public hands. With such a step, the vast majority of use-values in society would now be produced and owned in a social manner. No longer would there be a need for the exchange of goods and services; instead, people would contribute to society with their labour “according to their ability” and take from the common pot “according to their need”. The products of labour - produced socially, owned socially, and no longer exchanged - would thus lose their previous status as commodities. For sure, commodity production and exchange would still exist in part in the early stages of a socialist society, since the whole economy cannot be brought under a common democratic plan in one stroke. Small producers and owners – the petit-bourgeoisie – would continue to exist for some while. But the main “commanding heights” of the economy would be part of a socialist plan of production, and thus the majority of wealth would not be in the form of commodities. And overtime, as the efficiency and superiority of the democratically planned economy proves itself, small producers would be convinced and incentivised to join this social plan, and thus all remnants of commodity production would wither away. Alongside this withering away of commodity production and exchange, the social need for money - like society’s need for the State - would wither away also. Fewer and fewer goods and services would be exchanged; instead, they could simply be provided free of charge through communal shops, supermarkets, and restaurants, etc. We already see this process in embryo under capitalism with services like the National Health Service, for example, whereby anyone can walk into a hospital and receive treatment without any money being handed over. 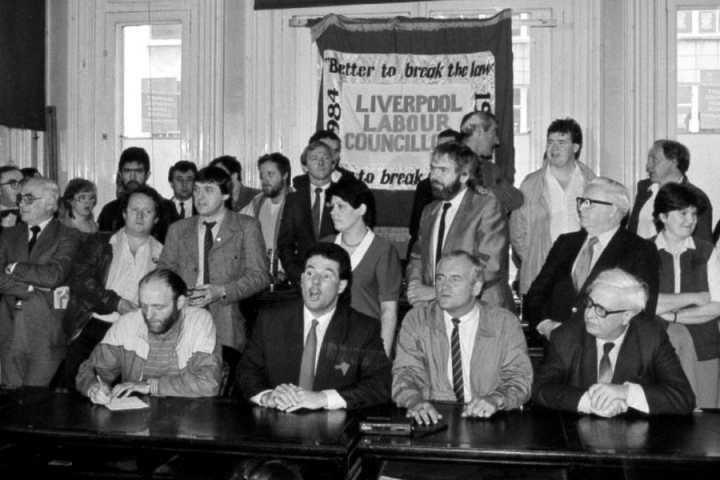 Within modern capitalism, where the working class has managed to secure for itself - through struggle - publicly-funded services, such as the NHS, and a welfare state, the “income” a worker receives is therefore effectively split into two parts: a wage paid by the employed in exchange for their labour power; and a “social wage” of publicly-provided benefits and services that are free at the point of use and provided on the basis of need. In the transition from socialism to communism, the ratio between these two components would shift dramatically towards the latter. The unseen “social wage” would vastly increase, whilst the wage paid in exchange for labour-time would be diminished. Instead of just receiving healthcare without any monetary transaction required, transport, housing, electricity, food, clothes, etc. : all of these, and even things currently considered “luxury items”, could be provided without any exchange as part of a socialist plan of production. The whole concept of value would gradually become meaningless, and rather than acting as a representation of exchange-value – i.e. of socially necessary labour time – tokens could instead be given to indicate the entitlement of any individual to a portion of the common products of labour. In some respects, this would be like the rationing books seen during WWII, which entitled everyone to a basic minimum of goods; only now, under socialism, the system would be on a qualitatively higher level of economic development, with society’s products not rationed and restricted on the basis of scarcity, but shared widely and freely on the basis of superabundance. Furthermore, even on the basis of current technology, such physical tokens could be replaced by mere digital information. Meanwhile, on the basis of a tremendous investment in science, technology, and automation, the productive capacity available to society would rise enormously, and the total “income” - that is, the amount of good and services that could be allocated to every individual - would greatly increase also. In short, living standards would be massively improved across the board. In the early stages of this transition, money and the price signals of supply and demand would still be needed to indicate where there was scarcity, and thus where investment by the planned economy was needed. In this respect, banks would also be required. But rather than this whole financial apparatus being used to direct and channel the money of capitalists for the purpose of profit, the banking system - under the social and democratic control of the workers’ state, as part of a socialist plan of production - would be used to provide investment to eliminate scarcity, improve productivity, and meet society’s needs. 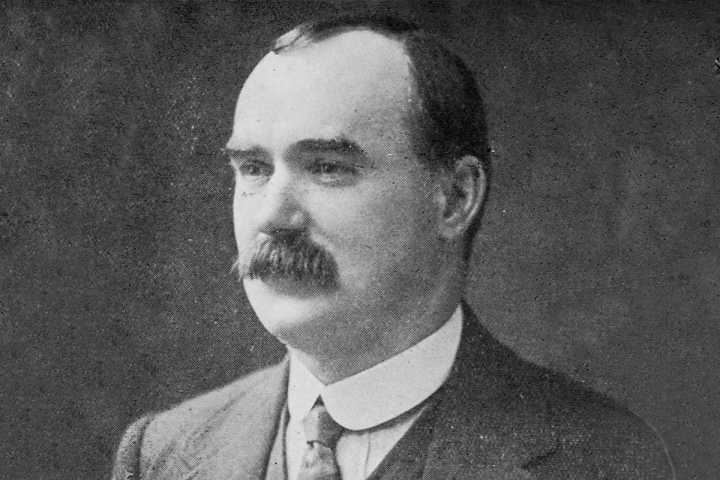 As more and more of the economy came under this socialist plan of production and scarcity was eradicated, this need for money and price signals would wither away also, and society would instead democratically choose what goals to prioritise, and thus how and where to invest the material, technological and human resources available to it. The tremendous level of planning currently seen within giant multinationals in the name of profit could be implemented on a global scale to rid us of the anarchy and chaos of the invisible hand and ensure a world of plenty for all. And with the enormous productive forces at our fingertips on a world scale, there is no reason why we could not quickly move to a society of superabundance whereby all our needs were free to take at will, with no need for money at all, safe in the knowledge that scarcity is an historical aberration of the past. “In a communist society, the state and money will disappear. Their gradual dying away ought consequently to begin under socialism. We shall be able to speak of the actual triumph of socialism only at that historical moment when the state turns into a semi-state, and money begins to lose its magic power. This will mean that socialism, having freed itself from capitalist fetishes, is beginning to create a more lucid, free and worthy relation among men. Such characteristically anarchist demands as the “abolition” of money, “abolition” of wages, or “liquidation” of the state and family, possess interest merely as models of mechanical thinking.